From 1984 until 2003 Guus and Luce Thurkow ran an antiquarian bookshop and press for miniature books called ’The Catharijne Press’. On 1 January 2001, they decided to create a library for miniature books inspired by the famous Dutch dolls houses of the 17th and 18th centuries. Working on the basis of a maximum size of 3 inches (or 76 mm) for a miniature book, they decided on a scale of 1 to 4. The library is divided into traditional subject areas such as Historia Naturalis and Musica, with a few more modern categories such as Photographia. One section of the miniature library which can only be consulted under supervision and by appointment is ‘L’enfer’ (Hell), or the ‘secret bookcase’ with works devoted to erotica. 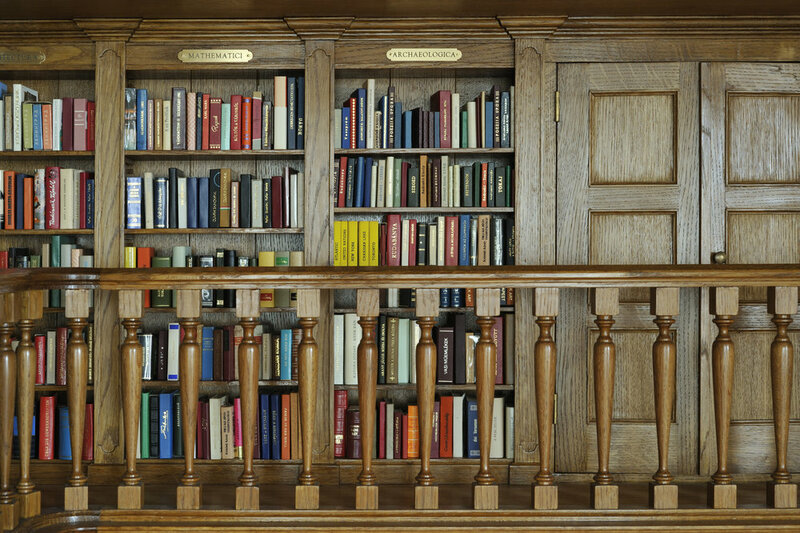 In addition to the miniature library, the museum shows a changing selection of miniature books from its collection. Have a look at a video about the miniature library and other unusual books made by 'Haagse dingen' in collaboration with Rickey Tax, head of collections.